These are three of the objects most frequently selected to be part of people’s Top 10 on our My Lincolnshire Collection web app. Are they part of your collection too? This statue of ‘The Jolly Fisherman’ was made to commemorate John Hassall’s famous 1908 poster advertising trips from London Kings Cross to Skegness. The trips cost three shillings per person and were so popular that the campaign ran for five years! 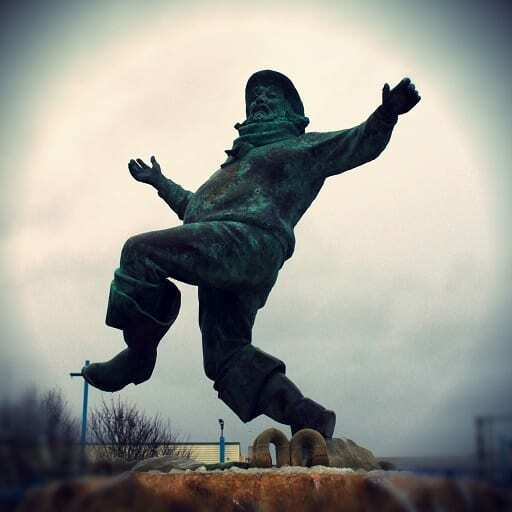 Images of ‘The Jolly Fisherman’ can be seen all around Skegness, and a statue similar to this one can be seen at the town’s train station. 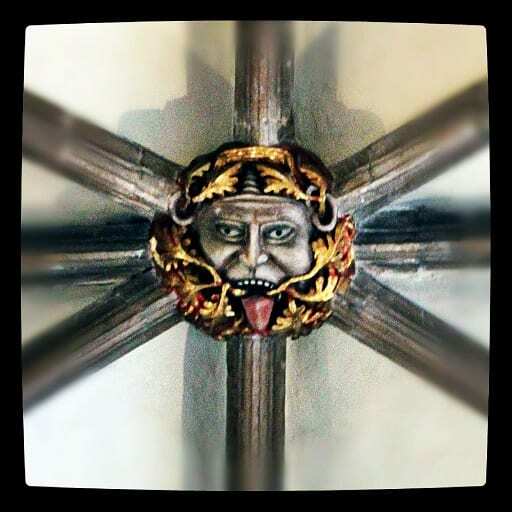 This ceiling boss represents the Green Man, a pagan symbol of fertility recognisable as a face surrounded by branches and leaves. Although Green Men are frequently found in churches, it is unusual to see them so near the altar as the one shown here, found above the choir stalls at Crowland Abbey. When the abbey was built (and, presumably, the ceiling boss placed) in 1427, the altar would have been further away from the Green Man than it is now. The building of the Gainsborough Model Railway commenced in 1953, resulting in what is now one of the largest model railways of its kind in the country. Based on the East Coast Main Line from London Kings Cross to Leeds Central, the railway covers 2500 square feet, has over 1200 feet of main line track and requires ten operators to run it! What do you think of the frontrunners so far? Are these the objects that you would expect to be leading the race for most popular heritage item in Lincolnshire? Let us know your thoughts in the comments below. Pick your own Top 10 heritage objects at MyLincolnshireCollection.